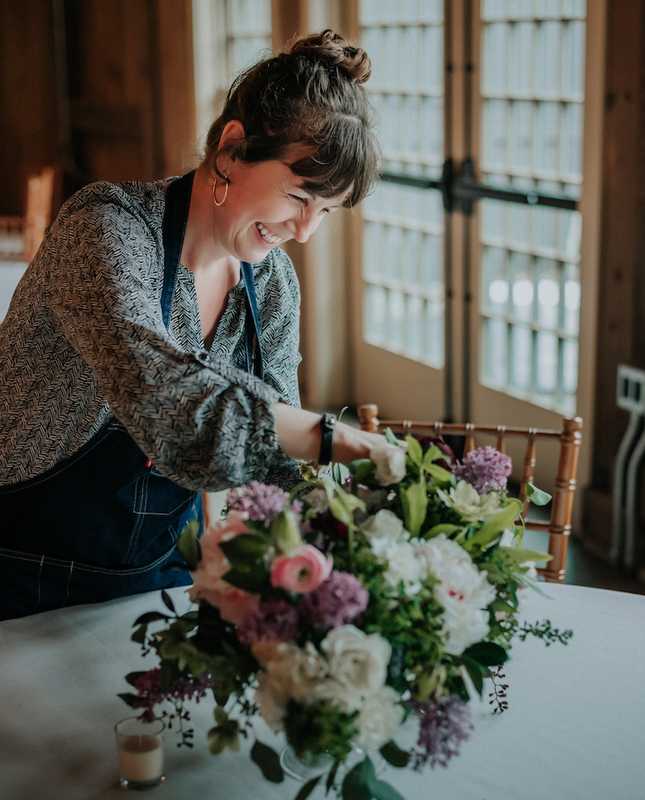 Daisy Stone Studio consists of a team of wonderful, passionate​ and ​hardworking designers located in the ​beautiful Berkshires of Western Massachusetts. We provide high end floral and event design services to New England and beyond. We love collaborating with clients to present a feeling that represents who they are​,​ and what inspires them. Each custom experience is created through a collaborative effort, bringing attention to detail, a high level of organization, and artfully arranged designs. We offer a free consultation to gather all the information needed to provide a preliminary ​proposal for our clients ​to ​review. In additional to the ​proposal, which provides suggested design ideas and pricing, an ​​inspiration ​​board is presented to provide guidance on color, style​,​ and over all feel of the event. Growing up in the hills of Western Massachusetts, my childhood world was full of natural beauty. Rivers, ponds, lush pastures bound by historic stone walls — it was the pinnacle of picturesque, small-town New England life. Abundant wildflowers and cycling flora marked the passage of each year. In the spring, Indian paintbrushes and buttercups dotted the fields. Autumn, of course was all about the technicolor foliage. And then there was high summer, the time of sunflowers, queen anne’s lace, tiger lilies, and daisies filtered through hazy afternoon light. Over time, I was drawn to explore beyond this peaceful world and spent a while living in the cities of San Francisco, Oakland, and New York. The views were different but no less spectacular. The panorama of the Golden Gate Bridge against a Pacific sunset, the stone detail in the Brooklyn Bridge, the Chrysler Building at night are all emblazoned in my memory. The name “Daisy Stone” is a reference to this mix of beauty that inspires my design: the wild countryside (the daisy) and the stunning architecture of cities (the stone).